Like the Kodiak bear, the Dakine Kodiak GORE-TEX® Gloves are built to take on the frigid winter conditions. Sturdy DWR leather has a Gore-Tex® liner to keep the moisture out with a Primaloft® backed, wool liner to keep the heat in. Hit the mountain with a pair of gloves that are really up to snuff with the Dakine Kodiak GORE-TEX® Gloves. Durable Water Repellent Leather  A unique tanning process infuses the leather with a waterproofing agent and compound dye yielding a premium leather for the ultimate in comfort and durability. 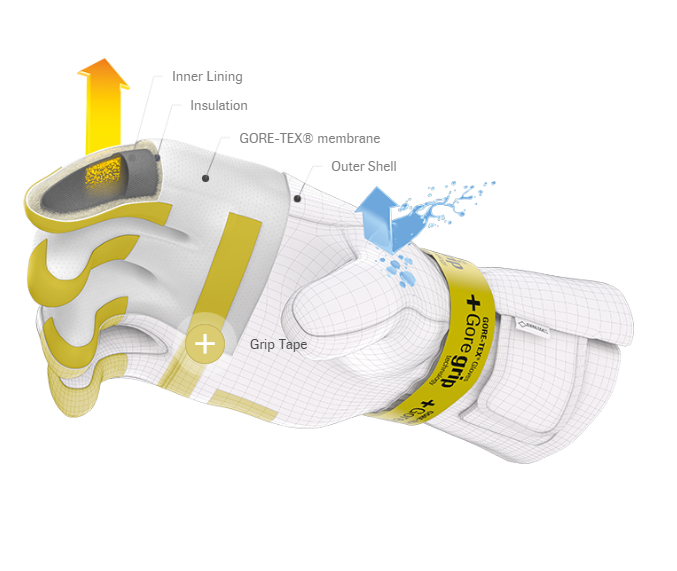 GORE-TEX Waterproof/Breathable Membrane + Gore-Grip  Gloves engineered with Gore-Tex inserts + Gore-Grip technology feature a full bond between the Gore-Tex insert and the inner lining material, while a special grip tape provides a "non-slip" effect between this bonded package and the outer shell when pressure is applied. 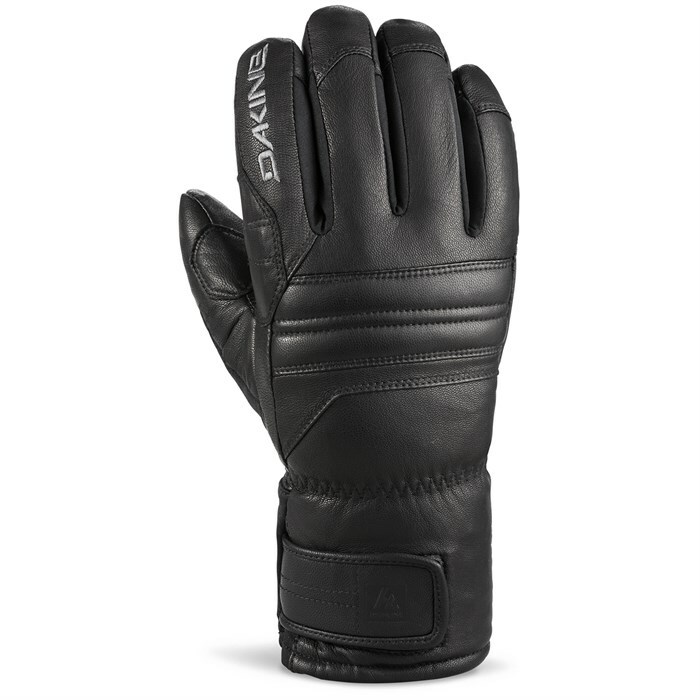 The end result is a close-fitting, durably waterproof and breathable glove with a single layer feel. PrimaLoft® [230 g]  PrimaLoft® insulation offers superior performance for high quality cold-weather gloves. PrimaLoft® is lightweight, breathable and is proven to repel water better than any other synthetic or natural insulation, so you remain dry, warm and comfortable even under the most extreme conditions. Adjustable Hook and Loop Closure  With slip-on stretch to fit.